Since I got involved in web accessibility over 7 years ago, it has been great to see the improvements and progress that many organizations have made. The State of Minnesota and their agency websites are a good example. However, misconceptions and half-truths regarding the overall accessibility of your website continue to prevail, and they can put your organization at legal risk. Our website contains many Adobe Acrobat PDF (Portable Document Format) files. We use this method when documents are not available in digital form, are too large or difficult to produce in HTML, or are publications where the format is critical to the usability of the document. Adobe Systems, Inc. is developing products designed to make PDF documents more accessible. Adobe’s accessibility web pages describe their efforts. Yes, it is true that Adobe Acrobat Reader is often needed to view PDF documents and it is a free download from Adobe. But Adobe does not provide free tools to make PDF documents more accessible. They do not have a website page that will let your users read an inaccessible PDF file with a screen reader. 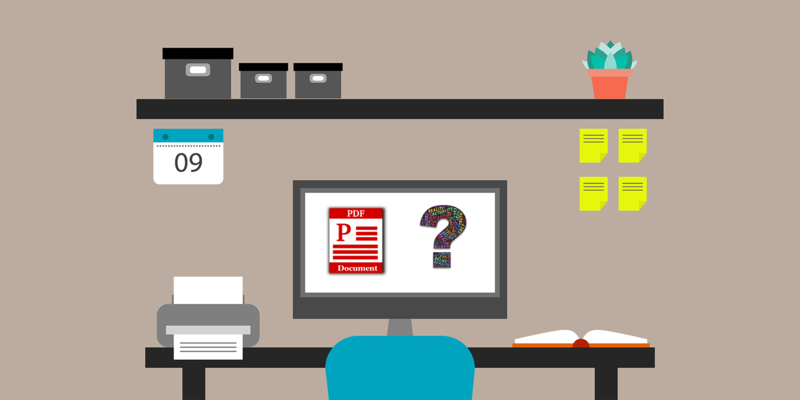 The responsibility for ensuring that PDF documents are accessible is on the author. If your organization continues to use this messaging on your website and you are publishing untagged, inaccessible PDF documents on your public websites, you are placing yourself at legal risk for non-compliance with the ADA requirements for websites. The only way to ensure that PDF documents are accessible is to follow the accessibility guidelines and use Adobe Acrobat to tag the document or preferably to use a more powerful Accessibility Checker and Remediation tool such as CommonLook PDF. The other misconception is related to using the Adobe Accessibility Checker in Acrobat. While Adobe has made progress in improving the accessibility features in Acrobat, the tool only checks general accessibility checkpoints and does not specifically test a file against any of the legally recognized standards such as WCAG 2.0 AA, PDF/UA or HHS. So just because you tagged a PDF document and ran the Adobe Acrobat Accessibility Checker, the file may still have serious accessibility errors, especially if the file has tables or other complex structure. The only way to be truly sure that your document meets specific accessibility requirements is to use a dedicated PDF Accessibility Checker such as CommonLook Validator.